There’s always one game at Prime that comes out of nowhere, presenting something so strange and wild that I’m not sure if I like it or not. 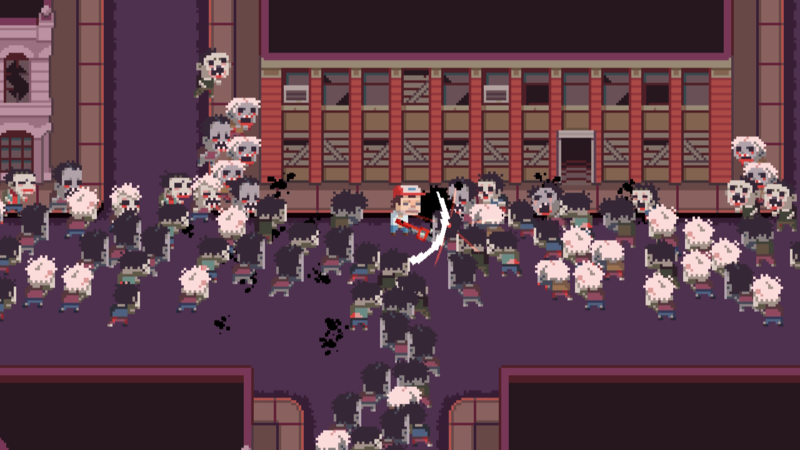 That game this year was Death Road to Canada. 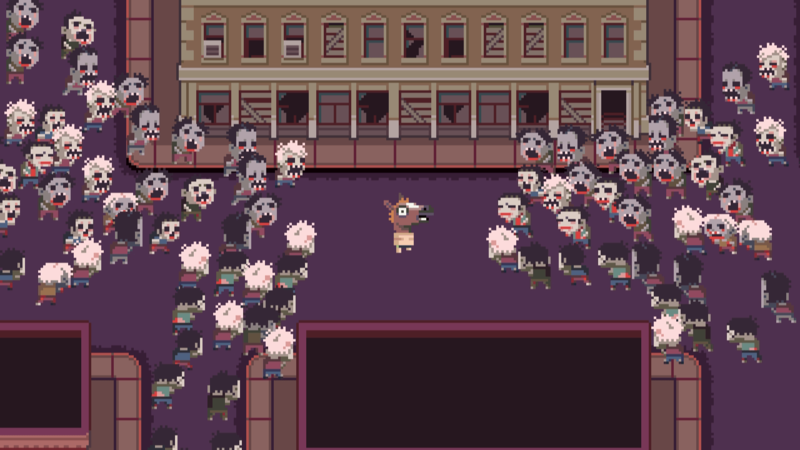 It plays a bit like Oregon Trail, if it was crossbred with The Walking Dead. The official site hails it as a Randomized Permadeath Road Trip Simulator. You make decisions, drive the apocalyptic highway and fight zombie hordes while scavenging for supplies. When the game starts out, you answer a series of questions which decides your attributes and starting weapons. Then you start your road trip. Much like in Oregon Trail, you will receive constant questions which decide the obstacles you will overcome. Your answers may result in unpredictable consequences, both positive and negative. It’s hard to predict, but the upshot is no two playthroughs of the game will be the same. And his name was Mr. Dead! Like any survival story, you need to keep your supplies in check, and will need to resupply often. Those supply runs will occasionally take you through zombie infested territory. Unlike the trend in the latest games, these zombies are slow, but that doesn’t make them any less dangerous. If you sneak around quietly, they typically won’t notice you, but make a sound, and all bets are off. You may think they aren’t a problem, but if you get cornered, things turn bloody quickly. I ran into trouble in my playthrough when I went through a door and started looting a room. 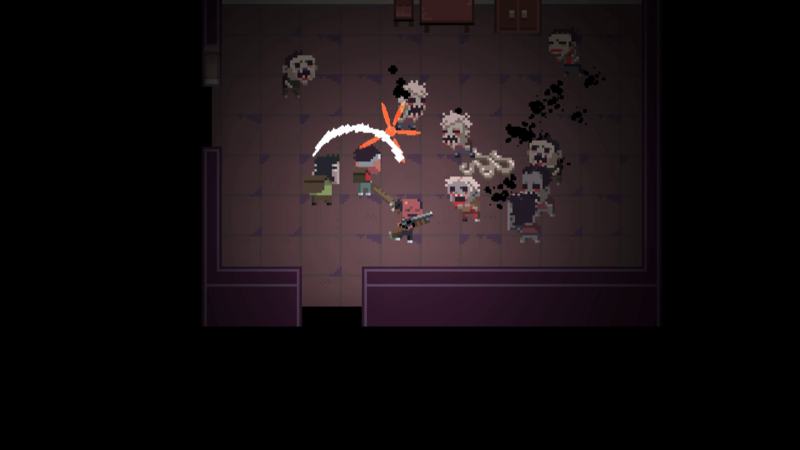 I didn’t realize the door wasn’t closed, and a group of zombies snuck in behind me. I realized my error when my partner was consumed by a swarm of walking dead. I tried fighting them off, and was quickly punished for my actions. My primary complaint with the game came from the combat. It’s very simplistic, all you can do is switch weapons and attack. The problem is, you run out of ammo quickly, and even bludgeoning weapons can break on you, leaving you defenseless. I much preferred the Oregon Trail Q & A sessions in the game, and the constantly random facets of each walkthrough. Overall, I mostly enjoyed Death Road to Canada. It’s always nice to see a crowdfunded project progress, but I still see some rough edges to be ironed out. For those interested, Death Road to Canada is headed to Steam.